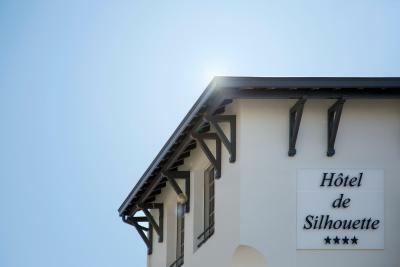 Lock in a great price for Hotel de Silhouette – rated 8.9 by recent guests! Located across from the terrific indoor market, easy walking to the sights and shopping. In the center of town it has parking and a delightful back garden to sit and have a quiet drink. Shower, the toiletries, the breakfast, staff all is very good. 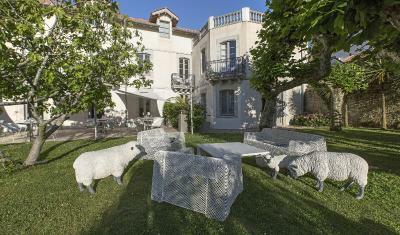 Lovely hotel with a serene, romantic garden that even has fake sheep grazing. 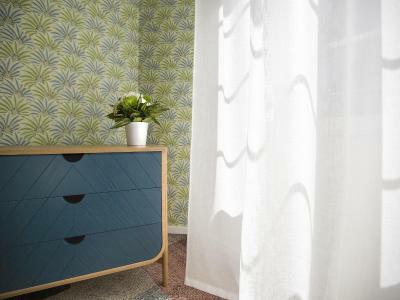 Location is ideal in center next to Les Halles market and a walk to the beach. We were greeted by a stern Basque receptionist who was not pleased as my credit card hadn't worked when I initially booked the room and she was seconds from giving the room away. But she soon defrosted and the charms of the surroundings took over. Our room was quite small but clean. Ask for a room facing the courtyard. Overall, a great hotel. 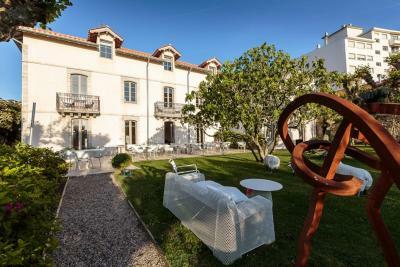 Great location from which to explore the old town area of Biarritz. Staff were friendly and, mostly attentive. Rooms were comfortable. The friendliness, the possibility to modify the booking. Nice people there, the rooms was perfect! Great location for a winter stay. We had a nice time there. Thanks! Great location.Friendly and helpful staff. Nice room. Fabulous location opposite Les Halles Markets. Several great restaurants nearby. Short stroll to beaches. Lovely garden at the back. Good Airconditioning. 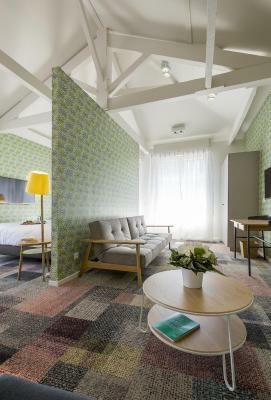 One of our top picks in Biarritz.Located at the heart of Biarritz, this hotel is just 1,000 feet from the beaches. 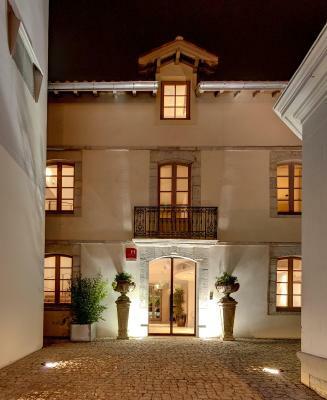 It features a 24-hour reception, a terrace in the private garden and air-conditioned rooms. 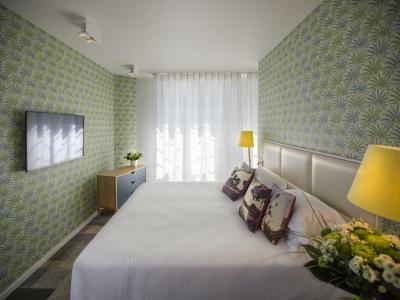 The soundproofed guest rooms feature a mini-bar, a Bose MP3 docking station and a flat-screen TV with cable channels. 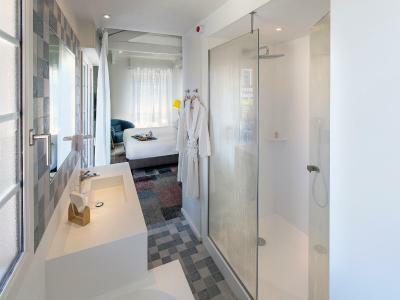 Each room has a private bathroom including amenities and a hairdryer. Free Wi-Fi is available throughout the hotel. The bar is open all year, and the restaurant serves regional cuisine during the summer. In the morning, guests can enjoy a buffet breakfast. 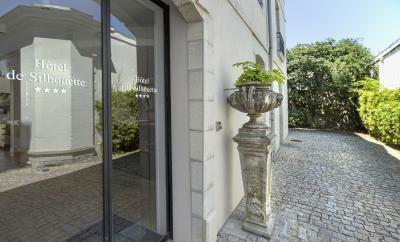 With private parking on site, the Hotel de Silhouette is 2,650 feet from Le Phare Golf Club. There is a free city tour bus every 10 minutes, which stops just outside the hotel. Biarritz Train Station is 3.1 mi away. 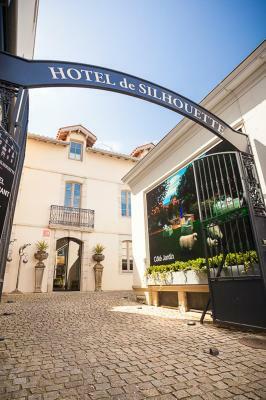 When would you like to stay at Hotel de Silhouette? All rooms have free Wi-Fi, a minibar and air conditioning. No extra beds or cribs are possible. This spacious junior suite has free WiFi access, a Bose MP3 docking station, a mini-bar and air conditioning. There is also a bathtub and a shower. All rooms have free WiFi, a mini-bar and air conditioning. All superior double rooms have free WiFi access, a minibarn a MP3 docking station and air conditioning. They are located on the garden or on the street side. House Rules Hotel de Silhouette takes special requests – add in the next step! Hotel de Silhouette accepts these cards and reserves the right to temporarily hold an amount prior to arrival. Breakfast was pretty poor. Tired scrambled egg. Good coffee. Room had 2 small windows with no view at all. The room was dark and the lighting extremely poor. this hotel does not deserve the high rating it has on various websites. The 4 star rating is marginable. All was good. One point to mention though - we had a room at the back, overlooking the garden. I think it would be noisy if you were on the street side of the hotel but I had requested a quiet room so we were fine. There was no coffee machine & water boiler in the room. The location is great, within walking distance to the beach, lots of good restaurants and shops nearby, supermarket just across the street. Nice & clean room with an outside seating. The staffs were truly nice and helpful. They even offered us coffee while we were waiting for our taxi. We really enjoyed our stay! Rooms facing the street can be noisy. Rooms at the rear are quiet with stunning views. Fantastic location with great staff and elegant rooms. Nothing really , room slightly small but was fine for us . Brilliant location . Very helpful staff . We had pre-booked & pre-paid for a room (which excluded breakfast) when, on check-in, we were told there was a slightly larger double room facing the garden with a (landlady's) view of the Ocean with an enhanced price of E48 a night which, on inspection & after a negotiation, we agreed to take at an enhanced price of E40 a night. It was not made clear that each of the rooms we were shown had a toilet separated by the entrance from the bathroom (which had no door) when there were other rooms in the Hotel which had a toilet en suite and which, if these had been identified to us, we would have taken, a difference which the Hotel called "in" & "out". We found the toilet separated from the bathroom without a door was awkward, inconvenient & embarrassing & were annoyed that this "in" & "out" difference was not made clear when we were offered the slightly larger room at its enhanced rate. It would have been a gesture of goodwill if breakfast (advertised at E15 per person) had been offered & included in the enhanced price, as in the 7 nights we were there, we saw few guests taking breakfast in the garden. We did not use the breakfast facility as we considered we were paying quite enough.